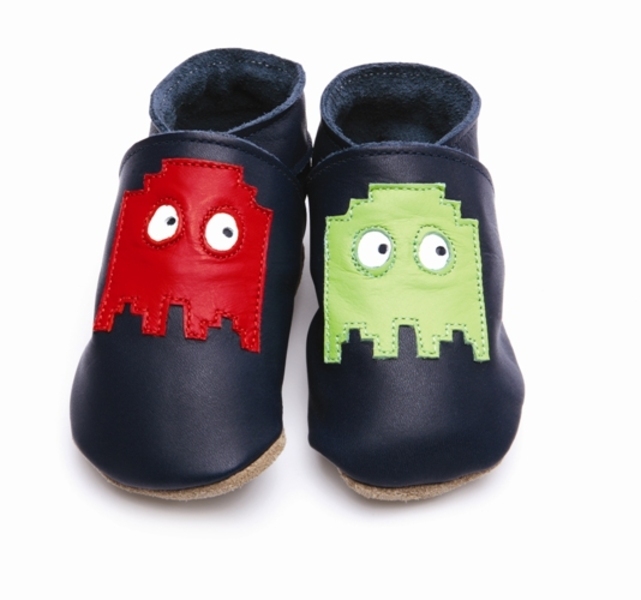 Soft leather baby shoes with a cool pixel monster design babies and young children can enjoy them around the house or show them off at nursery. Comfortable leather shoes for children. Navy Blue.